Disclaimer: These shoes were provided by Kent Wang at no cost to me in exchange for an honest review. 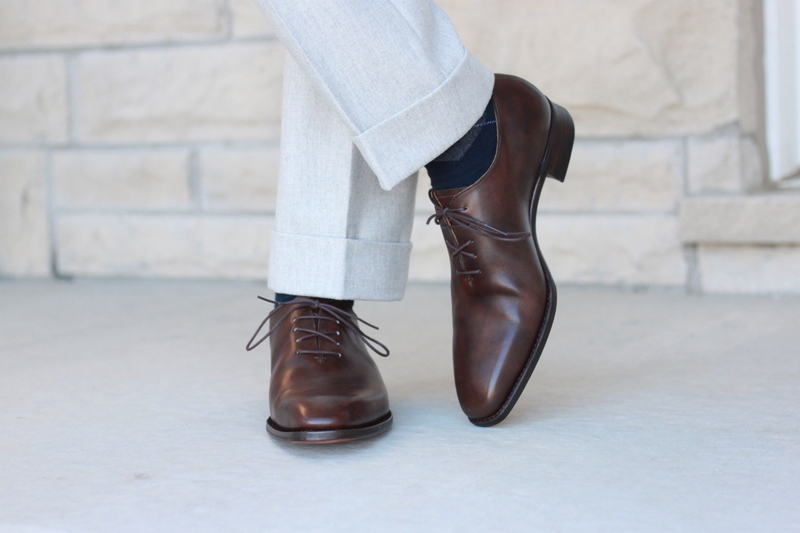 I’ve had a desire for a pair of medium brown wholecut dress shoes for quite a while now. They would fill a gap in my current rotation that I wrote about in an earlier post. 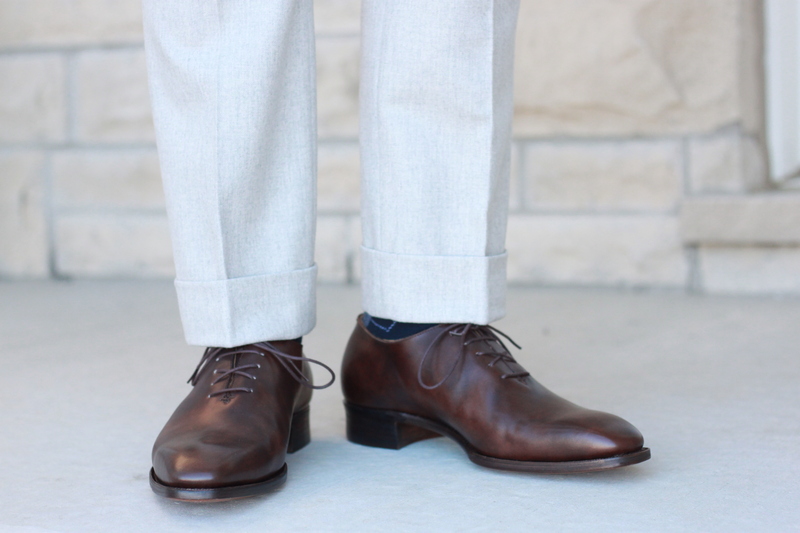 There’s something about the minimalist look of a wholecut dress shoe that appeals to me. The design really allows the leather and the shape of the last to take centre stage. The Kent Wang wholecut is no exception. I’m a big fan of Kent Wang products in general – I own a pair of their keyhole sunglasses, handgrade sneakers, grenadine ties, and a selection of pocket squares. So, when the opportunity to review this pair presented itself I jumped at it. 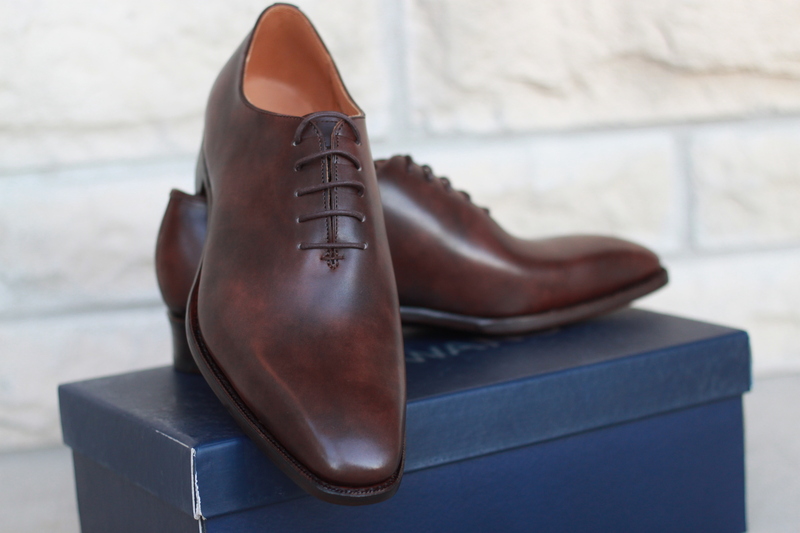 Based on the quality and value of all their products I own, I admit I was quite curious to see what a high end dress shoe from them would be like. This is a newly released design this year that along with a few others has really rounded out their footwear offerings. As with everything they’ve ever shipped me, shipping is fast and hassle free. The package arrived without incident, and the packaging kept the simple blue shoe box safe from damage. The outer box was pretty close in size to the shoe box itself, and there was a bit of crumpling to the shoe box. Now, I don’t know if that sort of thing would bother you (it didn’t bother me). Maybe you like perfectly square and pristine shoe boxes to build a fort with? Actually, that sounds kinda cool. Will need more shoes. Anyways, inside the ever-so-slightly creased shoe box were two shoe-shaped objects inside simple, black cloth bags. These were then wrapped in tissue paper. Low and behold, inside those bags was a beautiful pair of shoes! Everything was kept in place with bundled tissue paper. When I reverently pulled these Kent Wang wholecut shoes out of the bags, they were in immaculate condition. Again, attention to detail is the key here. The leather used is soft and supple, and the museum effect is executed perfectly. Just enough to provide the depth and character you want, but it is subtle. The stitching everywhere is flawless. Neat, even, and as close to the edge of the leather as you can get. I’ve been staring at these for a while now, and I can’t find a wrinkle, stretch mark or scuff in the leather. 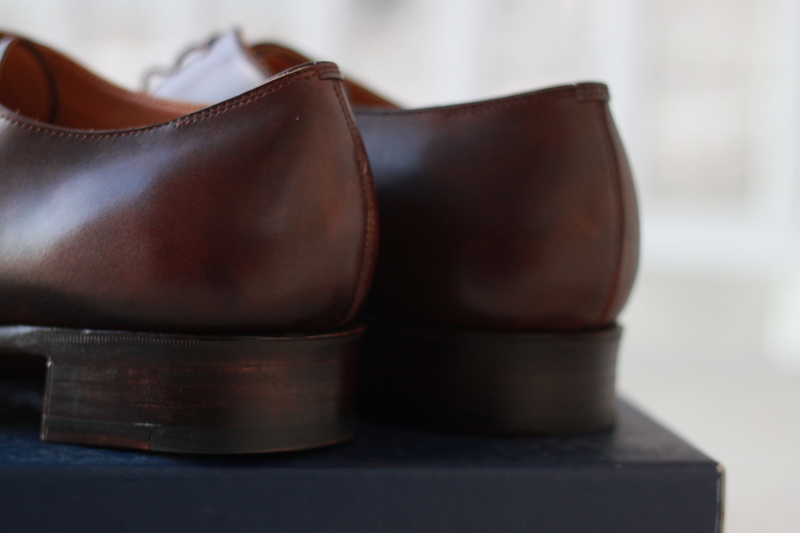 Inside, these Kent Wang wholecut shoes have a sock liner with just enough padding. There is a embossed logo stating the shoes were manufactured by DC Lewis for Kent Wang. The stitching along the welt is excellent. Tight to the upper, and perfectly even all the way around. The welt is nicely beveled and finished. The concavity to the heel stack mentioned above is a really nice feature. Flipping the shoe over, and you can see seven nails in the toe and another 55 in the heel. 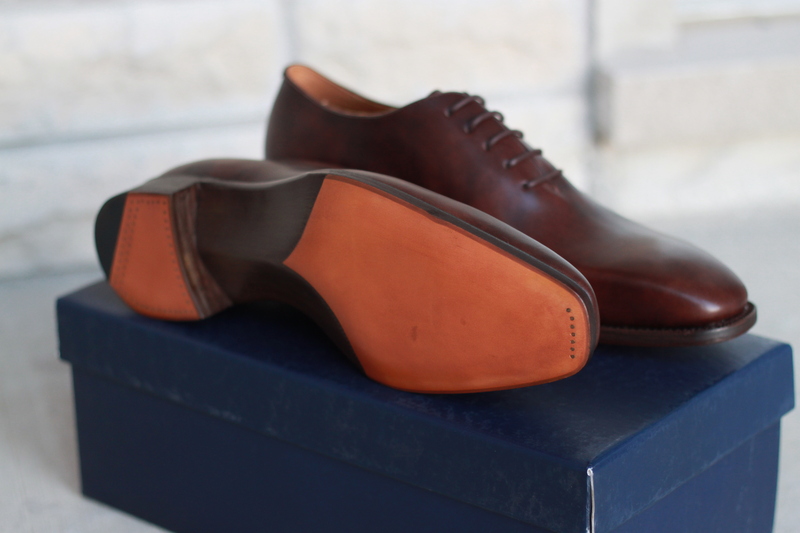 Besides the gorgeous fiddleback waist, these handgrade shoes feature a closed channel sole. I confess, I wasn’t totally sure what that meant when I read it. Google helped me out to confirm my understanding. If you aren’t sure, take a look at the pics below. Notice that you can’t see any stitching on the sole? 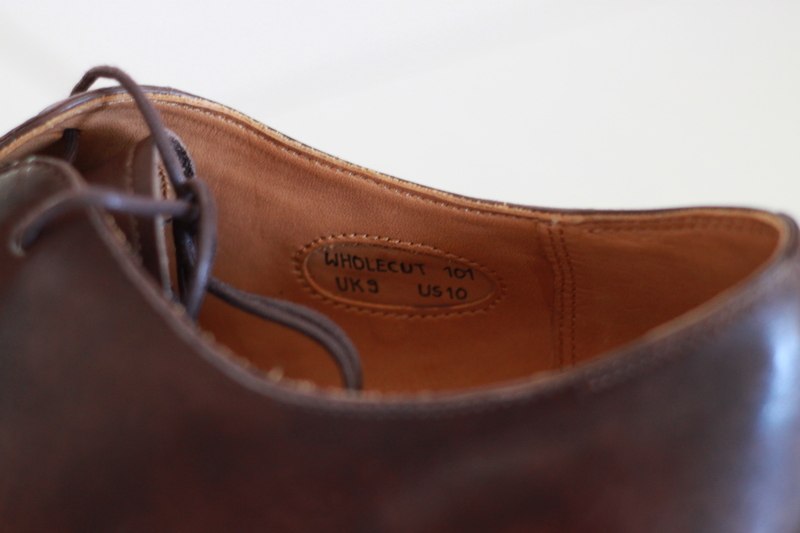 Basically, before attaching the sole, a channel is carved for the stitching to sit in. Otherwise you’d begin to wear it away in just a few paces. 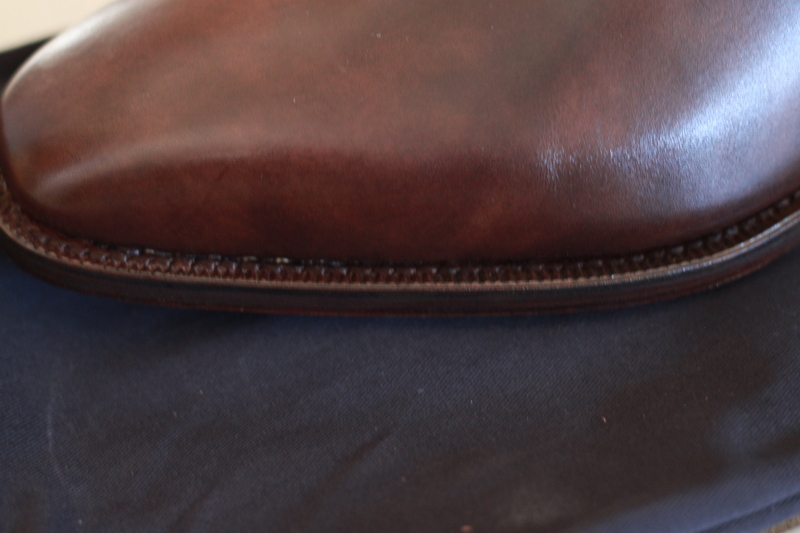 A closed channel covers the stitching with a glued in piece of leather. It looks better, and may or may not protect the threads, depending on the Google result you read. These are without a doubt my best fitting shoes. It’s like they were made for me. As mentioned, the leather is soft and supple, and my feet slid in comfortably. Once they were on my feet, the first thing I noticed was that these shoes have nice arch support. At first, it felt like it was a little farther back, closer to my heel, than would be ideal. After wearing them for a day though, it felt more natural. I don’t have particularly flat feet, or high arches, and these supported my feet well throughout the day. I had no pain or fatigue that I’ve experienced with other new pairs of shoes. 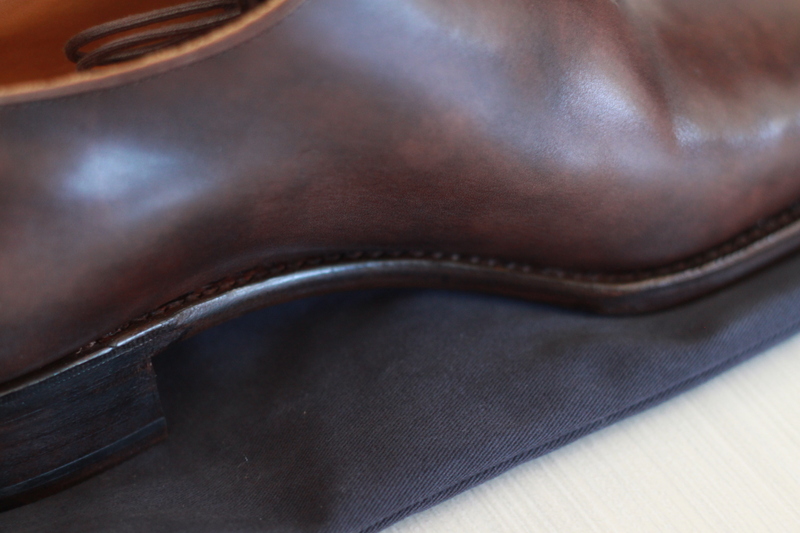 If you’re in the market, the Kent Wang wholecut dress shoes are excellent. Fit, finish, comfort, style. 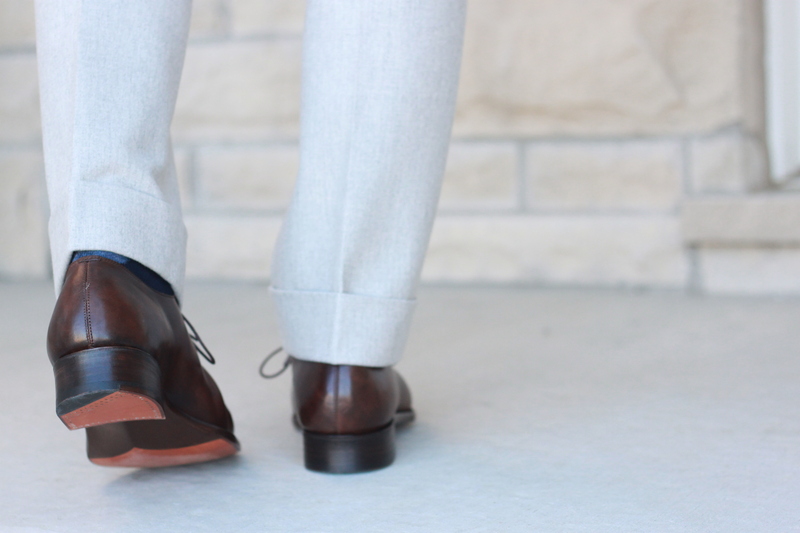 Everything you’d want in a pair of dress shoes. 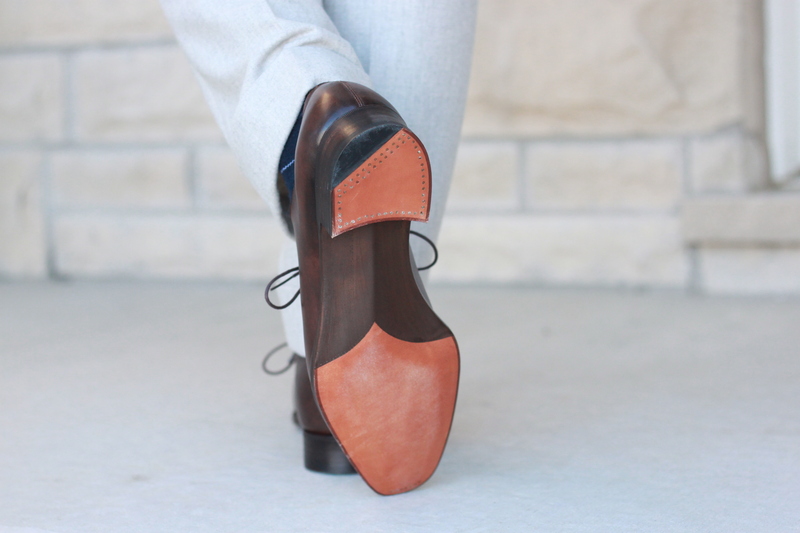 The best part about this whole experience for me, is that I know Kent Wang will be a strong contender for my next pair of dress shoes (or chukkas, loafers, monkstraps, or balmoral boots). I would absolutely recommend these shoes to anyone, and I guess I am recommending them to YOU right now. I’d rate them better than the Carmina I own in every respect. Kent Wang makes the claim that they rival shoes twice the price, and I’d like to believe them. They certainly beat shoes at a similar price point. So, what are you waiting for? 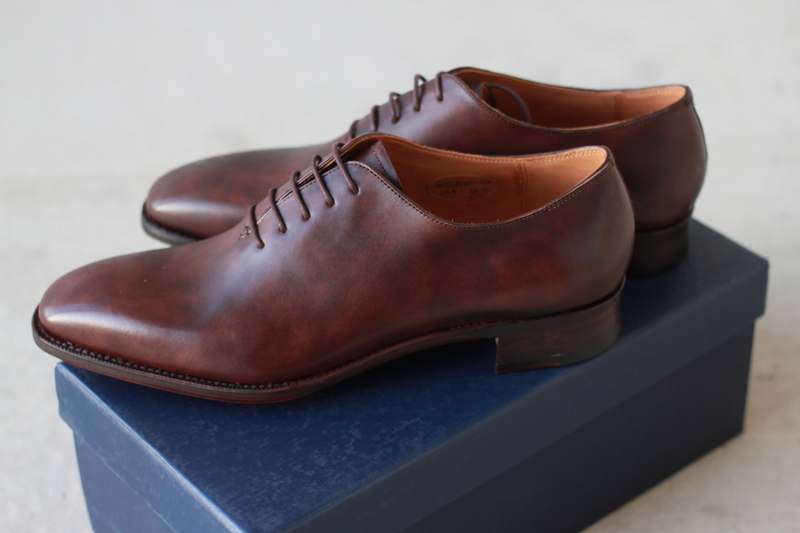 Go get a pair of these Kent Wang wholecut dress shoes.